Can a relationship form between you and your gear? Yes, especially with the Smith Squad XL Goggles. These ultra slick, semi-rimless goggles provide you with crystal clear, enhanced vision all day, everyday. Their fully integrated strap and Responsive Fit™ Frame remove the bulk you see on older styles while maintaining a fully functional fit for your best days on the mountain. 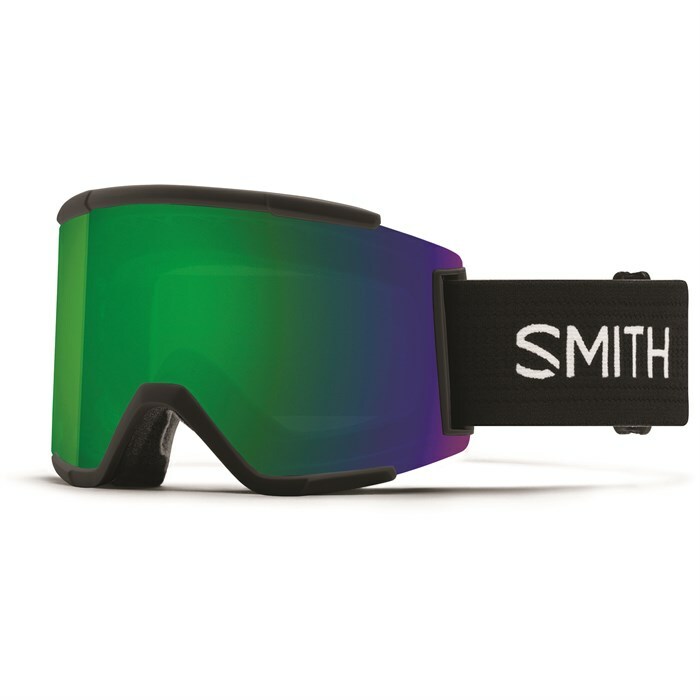 With plenty of lens combinations to choose, you'll be able to squad up for anything the mountain throws at you with the Smith Squad XL Goggles. Fog-X Anti-Fog Inner Lens  A hydrophilic, micro-etched surface that absorbs moisture and disperses it over a wide surface area to prevent fogging. Because it is physically carved into the lens, it can't be wiped away like other anti-fog coatings.